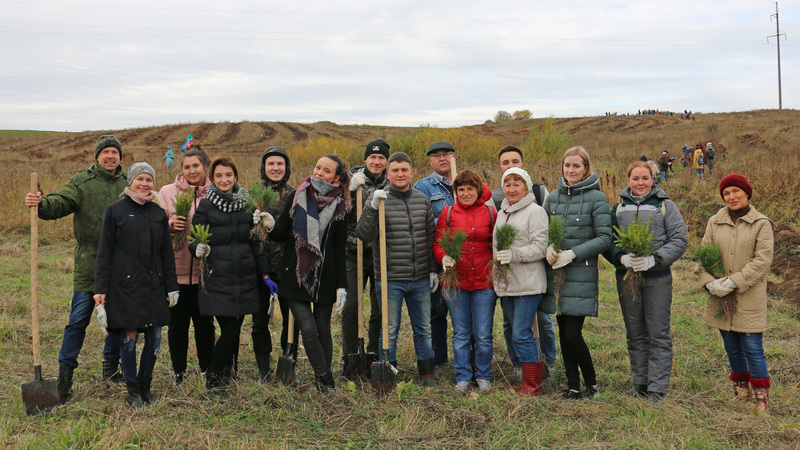 On October 6th, 2018 within the framework of The Volunteer’s Year in Russian Federation the staff of the Ministry of justice of the Republic of Tatarstan actively supported the action «The Forest Week - 2018», which was held by the Ministry of forestry. 16 staff members were participated in large tree-planting in the territory of Pestrechinskiy district near by the village of Staroe Shigaleevo under the leadership of the First Deputy Minister Galimov A.G. and the Deputy Minister Ragozina N.V.
All those present have contributed to the expansion of forest resources, and planted conifers’ saplings. That action is aimed at drawing attention to problems of saving, reproduction and expansion of forest resources, and in order to raise a careful attitude to a forest.